The ‘Sydenham Institute of Management Studies, Research and Entrepreneurship Education’ is one of the renowned colleges of Maharashtra. One of its colleges ‘Sydenham’ is oldest commerce colleges of Asia. It was established in 1913. The college name was inspired by the then Governor of Bombay Lord Sydenham. 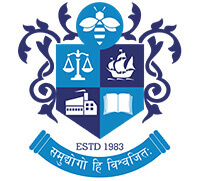 The SIMSREE (Sydenham Institute of Management Studies, Research and Entrepreneurship Education) was established in 1983. It is the first management school to provide degree of management. The SIMSREE provides quality management education to students by facilitating them access to the modern laboratories, library, sports, research facilities, and clubs. There are canteens, shopping complex, and banking facilities within the college campus. A candidate should have done graduation (minimum 3 years) from a recognized college/institution with a minimum aggregate score of 50% marks. The reserved category candidates should have a minimum aggregate score of 45% marks. All applicants should have a valid score of MAH-CET/ CMAT/ CAT/ MAT 2018 exam. The shortlisted candidates are required to appear in the personal interview. A candidate should have done Masters with a minimum aggregate of 55% marks or M. Phil from a recognized college/university in the related subject of management. The reserved category candidates should have a minimum aggregate of 50% marks to become eligible for admission in the institute.